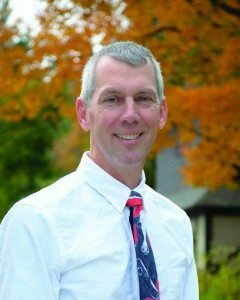 Tim is in his 31th year at Berkshire Country Day School and often credits how much he enjoys collaborating with his fellow teachers as one of the reasons he continues to love working at BCD. He especially appreciates his partnership with Susan Benner, BCD’s other science teacher, for their team approach in 7th and 8th Grade science. Tim says he and Susan complement one another perfectly. The pair can often be found taking many continuing ed courses, most recently a course through the Appalachian Trail Conservancy focusing on ecology and service learning. In addition to teaching 3rd through 8th grade science, Tim coaches soccer in the fall and lacrosse in the spring. He enjoys all outdoor activities, including hiking, biking, swimming, and cross-country skiing. Before joining Berkshire Country Day School, he worked for the U.S. Forest Service. Tim is a member of the Berkshire Environmental Educators Network (BEEN) and lives in Lenox with his son.